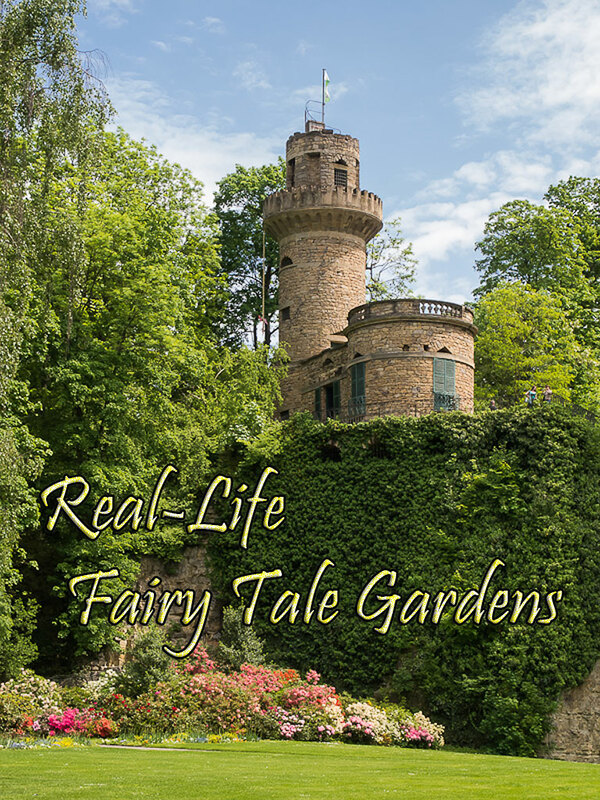 Gardens often play a major role in stories both real and imagined. Queen Marie-Antoinette strolled the famed gardens at Versailles, which have captured the imaginations of tourists and locals alike for centuries. 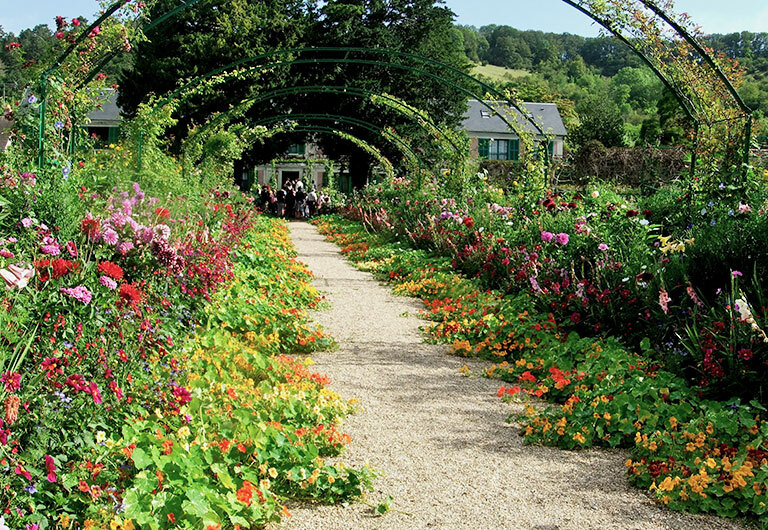 Flower patches like Frances Hodgson Burnett’s “Secret Garden” or the gardens in D.H. Lawrence’s “Lady Chatterly’s Lover” seem real but live only in the minds of readers. 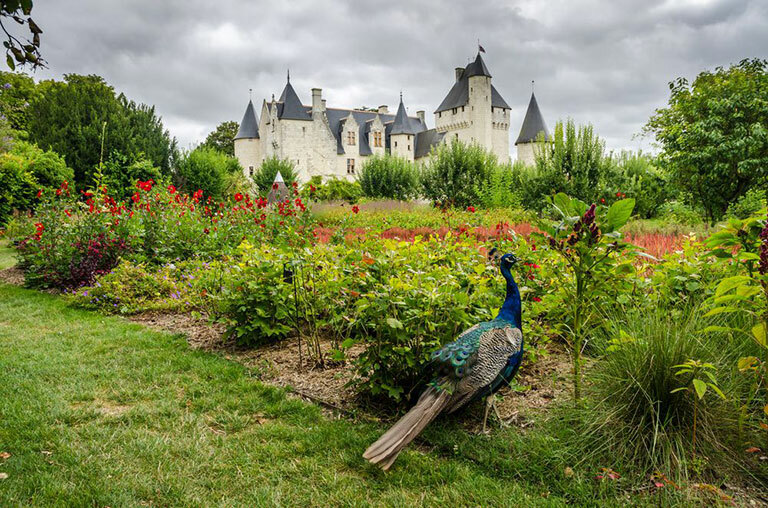 Still, some gardens that seem like they could be set in a novel or fairy tale are very real, like France’s Château du Rivau. Some have a history, full of drama and intrigue, that eclipse the most well-plotted novel. Others poke at visitors’ imaginations with their atmosphere and settings. 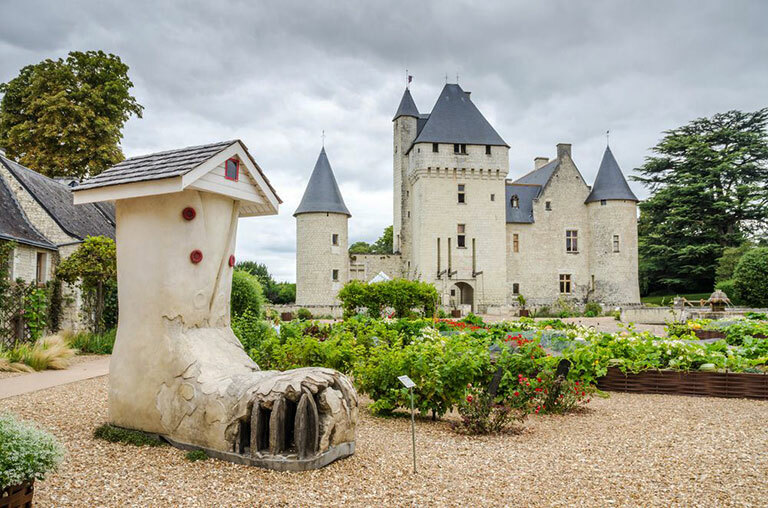 Here are nine living fairy tale gardens from around the world. 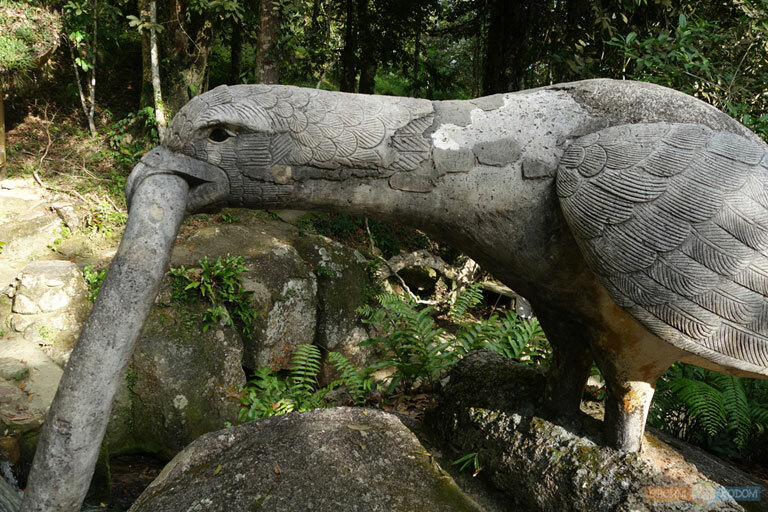 Tarnim Magic Garden is a sculpture park on Pom Mountain (Khao Pom) on the popular Thai tourist island of Koh Samui. 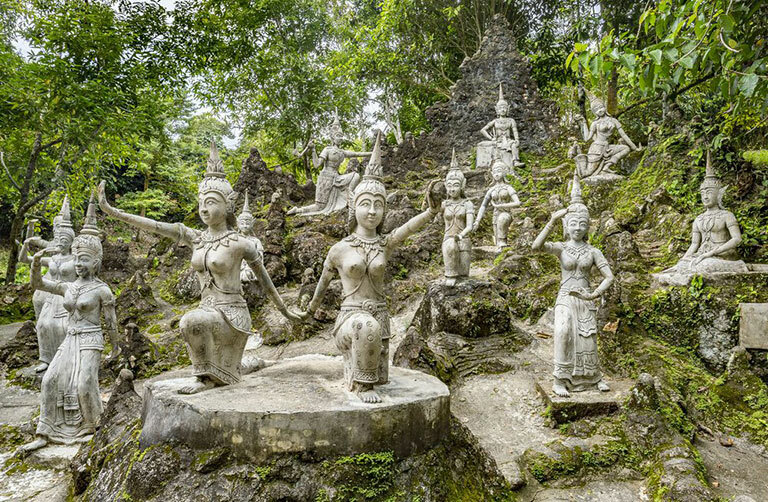 The garden contains numerous statues, including angels, Buddhas, minstrels and various animals hidden among the foliage. They are arranged in the middle of a mountain forest around a rushing stream and small falls. The garden is somewhat remote and requires a trip up the mountain, usually done in a four-wheel drive vehicle. Some find Tarnim too touristy to have that special “secret garden” appeal. 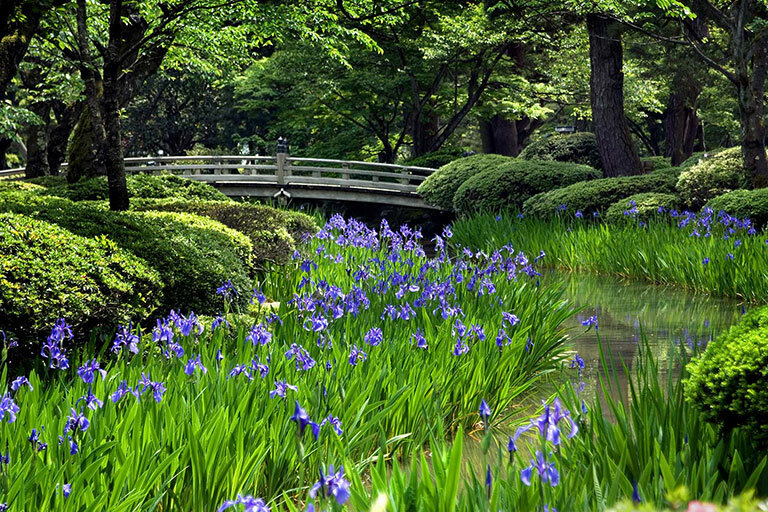 The story of the garden’s origin is almost fable-like. Successful durian farmer Nim Thongsuk, who spent a lifetime on the mountain tending his crops, decided to express his love for the land by creating the garden. He did not start until he was 77 years old. 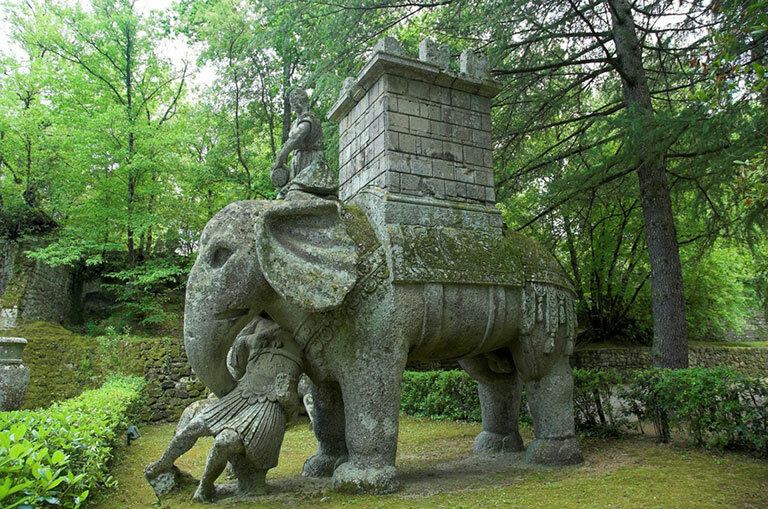 He continued adding statues and features until his death at the age of 91. 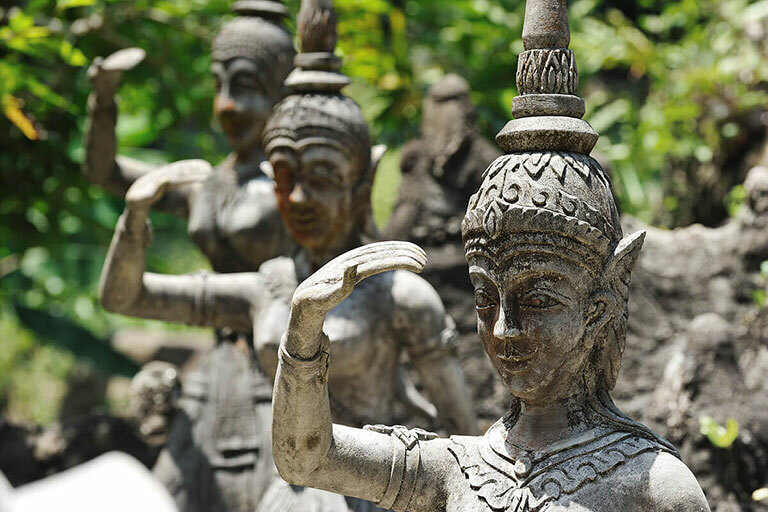 Tarnim includes statues of Thongsuk’s parents and a statue that touchingly depicts him holding hands with his father. 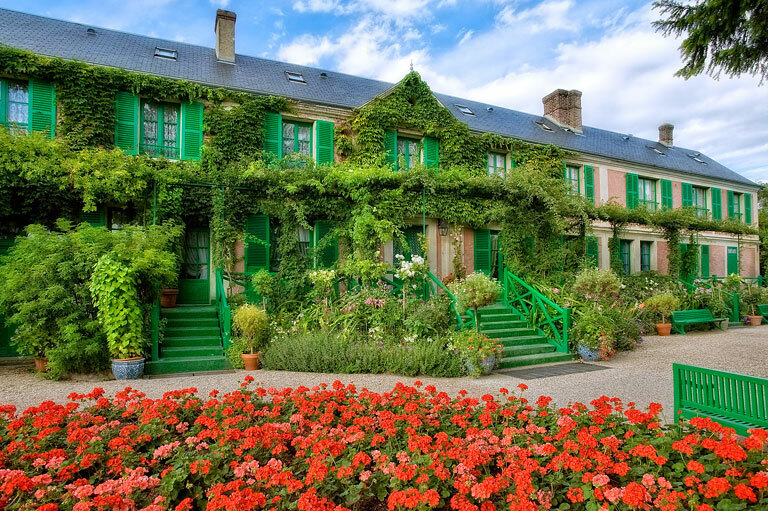 Claude Monet lived on a property in Giverny, France, from 1883 to 1926. 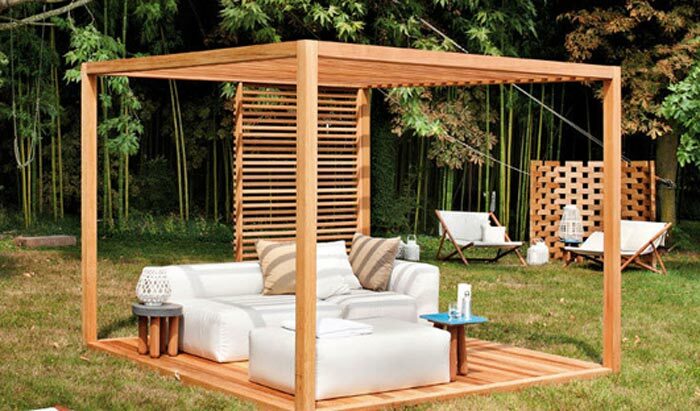 During his stay, he expanded the home and added to the gardens. 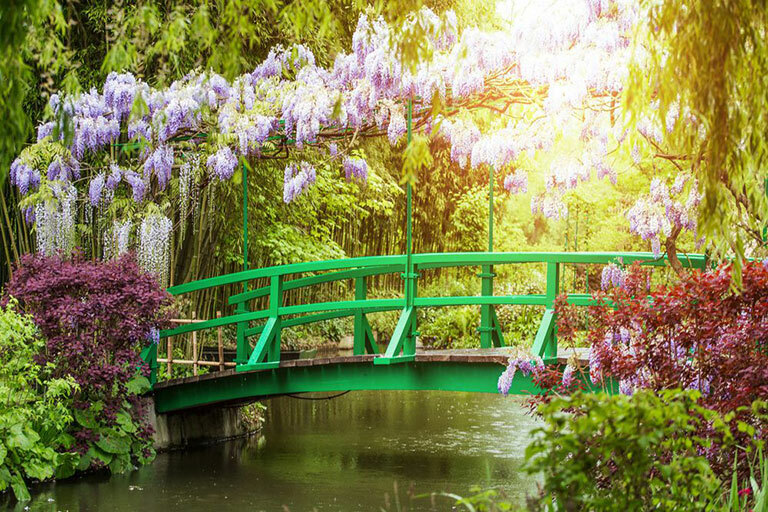 People who appreciate the famous impressionist’s work may find that some of the landscapes in the garden are similar to the nature scenes in his paintings. 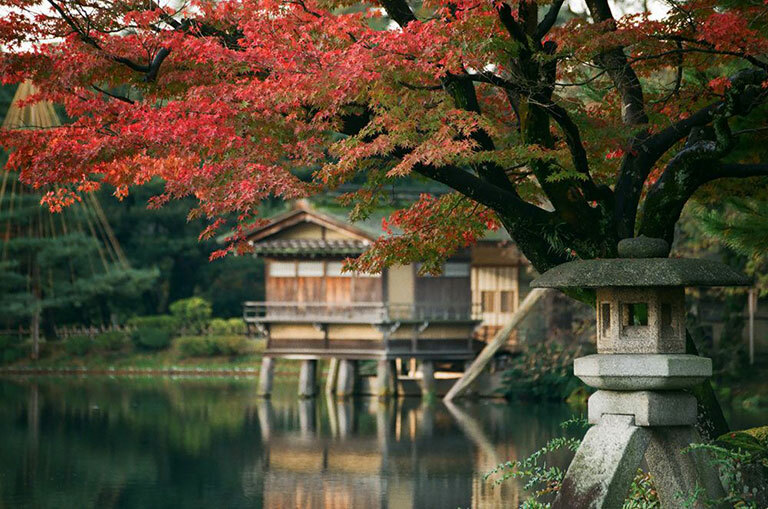 The place where this comparison is most obvious is the Water Garden, which features a pond surrounded by flowers and topped by a Japanese bridge. Lilies grow in the water. (Monet is known, among other things, for creating images where the water reflects the landscape). Visitors buy a ticket for entrance to the entire estate, so they get to see the living spaces and original artworks as well as the garden. The German town of Ludwigsburg, just outside of Stuttgart, is known as the “City of Palaces.” Famous for its Baroque buildings, it is also home to an impressive collection of gardens surrounding the palaces. Perhaps the most notable space is Blooming Baroque, an ongoing garden show that features a variety of different plants and styles. Some of the green spaces feature aviaries housing both local and exotic birds. 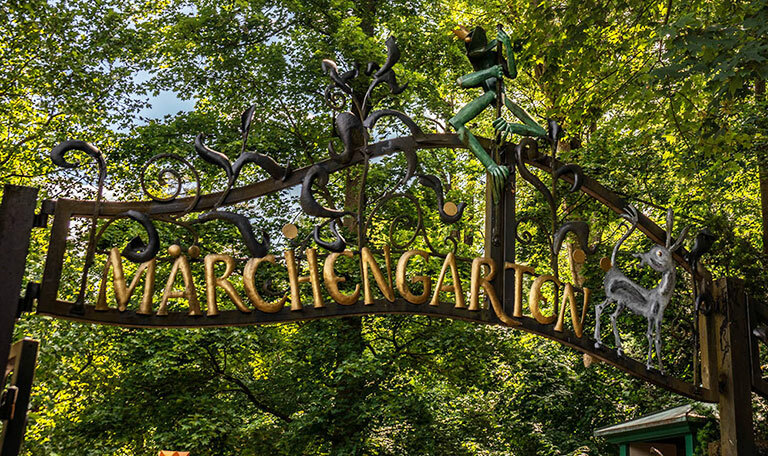 Imagination is not required to see the fairy-tale connection at the aptly named Fairy Tale Garden (Märchengarten, in German). 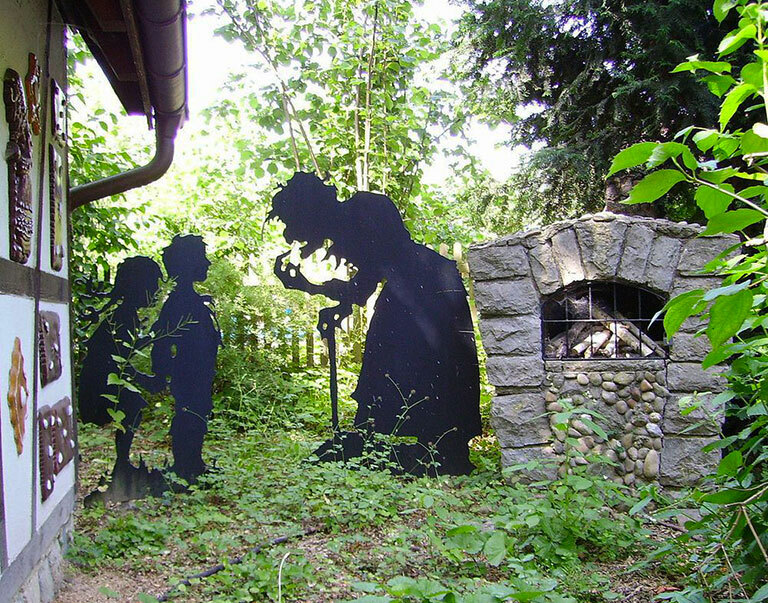 Installations that depict more than 30 fairy-tale scenes are scattered throughout the garden. 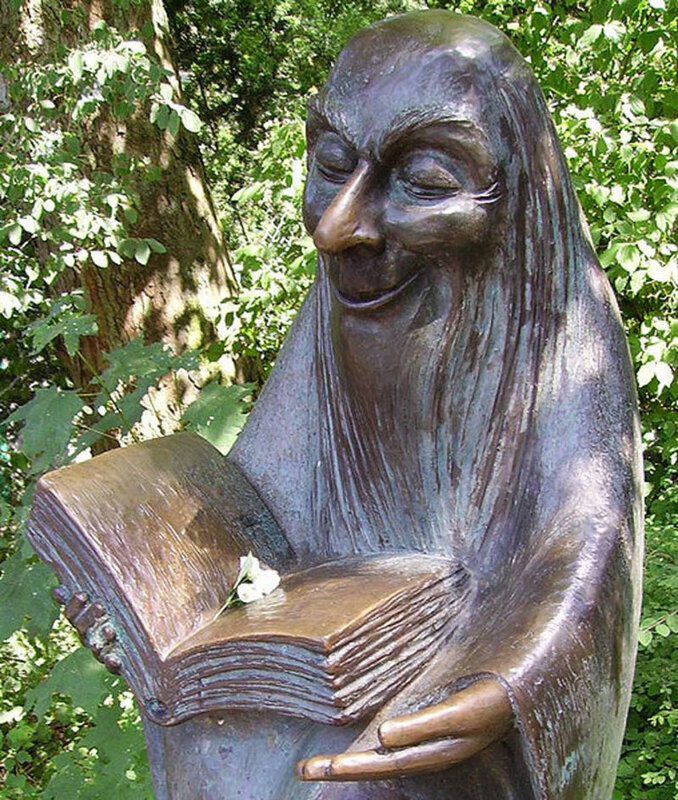 “Hansel and Gretel,” “Sleeping Beauty” and “The Frog Prince” are among the fables portrayed here. 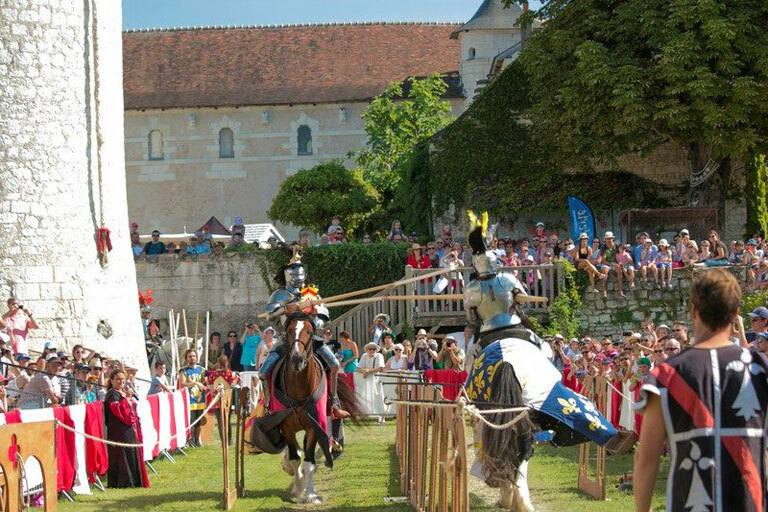 Despite being associated with important historic figures like Joan of Arc and officers who led French forces during the endless succession of wars in the 15th and 16th centuries, Château du Rivau is now best known for its fairy-tale gardens and classical architecture. This was one of Europe’s first “ornamental” castles, and as such, it was built with aesthetics in mind as much as fortification and function. 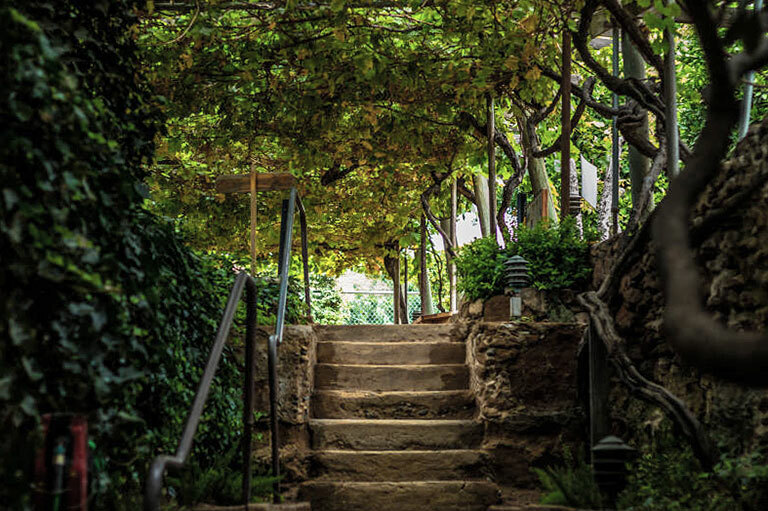 The property features 12 gardens, each inspired by a fairy tale or a legend. An extensive rose collection will appease gardening enthusiasts, while sculptures placed throughout the grounds add a sense of whimsy that fits with the romanticized surroundings. Marrakech is one of Africa’s most international cities. 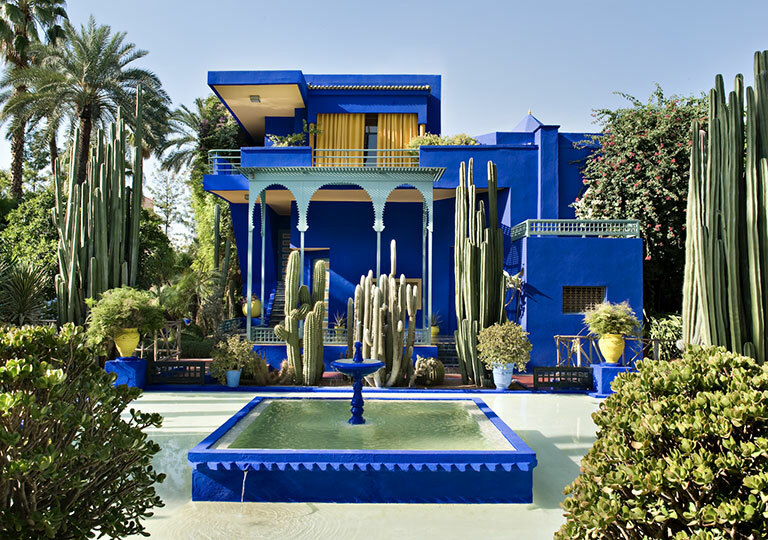 Artist Jacques Majorelle chose the Moroccan metropolis as his home. He painted watercolors, but these works are now overshadowed by the Majorelle Garden, which he created during the 1920s and 1930s while living as an expatriate in the city. 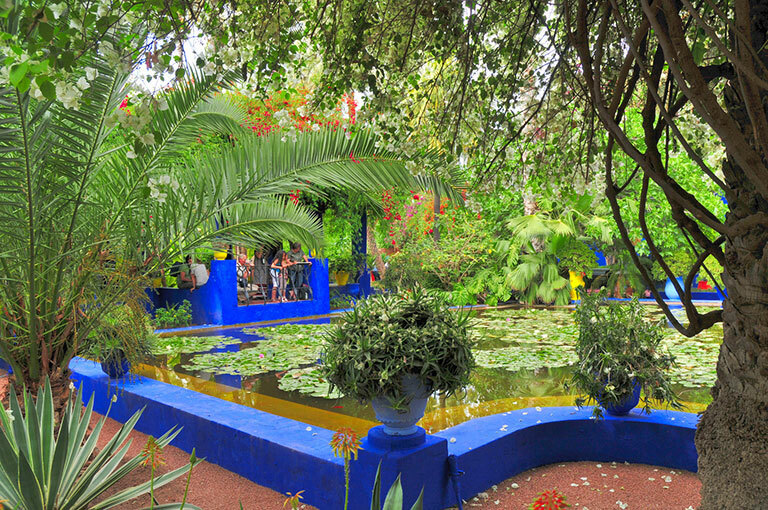 The garden, with its water features, deep blue walls and exotic foliage, became famous even before it was opened to the public after World War II. 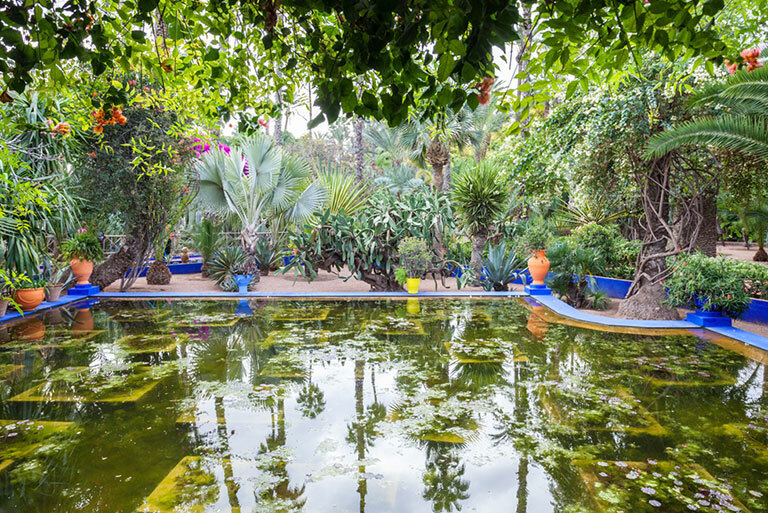 After being saved from redevelopment by designer Yves Saint Laurent (whose ashes were scattered in the garden after his death in 2008), Majorelle once again became one of the most popular attractions in the city. Visitors come to appreciate the blend of fountains, streams, foliage and songbirds and soak in design styles that range from Art Deco to traditional Moorish. A museum of Berber culture also is on the property. 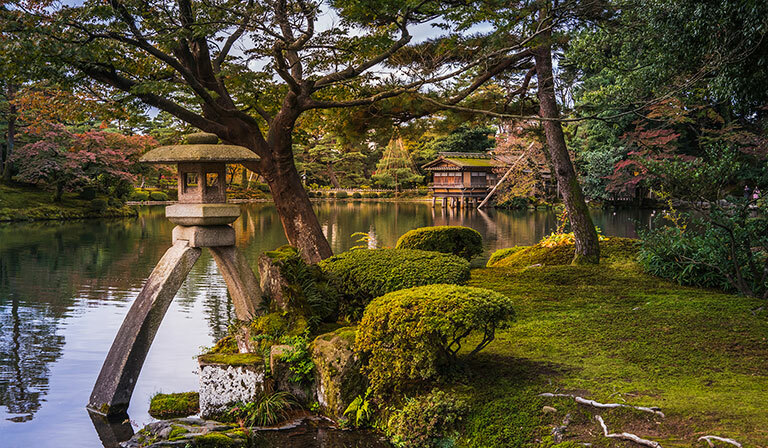 Kenroku-en Garden, in the city of Kanazawa, is considered one of the “Three Great Gardens of Japan.” It is a landscape garden that has been open to the public since the later decades of the 19th century. The garden features a complex system of streams and ponds. The waterways are fed naturally by nearby rivers, and the streams can be crossed on classic bridges. One of the main features in Kenroku-en is a fountain that was the first created in Japan. It was built using natural pressure to shoot the water upwards. 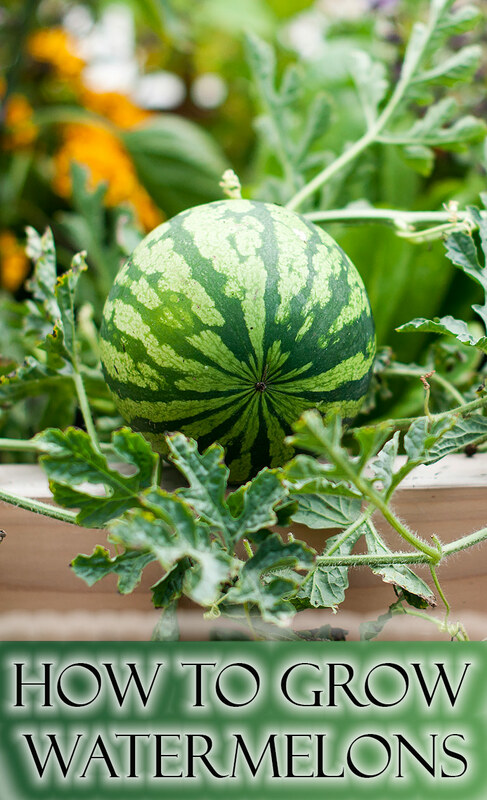 The garden is open year round, and offers a different kind of experience in each season. Cherry blossoms are visible in springtime, flowers in summer and snow-covered evergreens in winter. 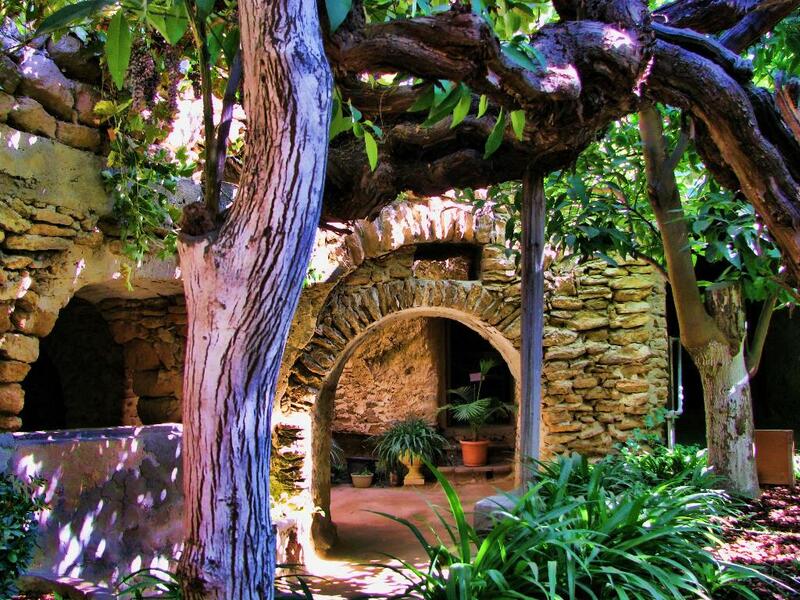 One of the most unusual gardens on our list is this one, located in Fresno, California. 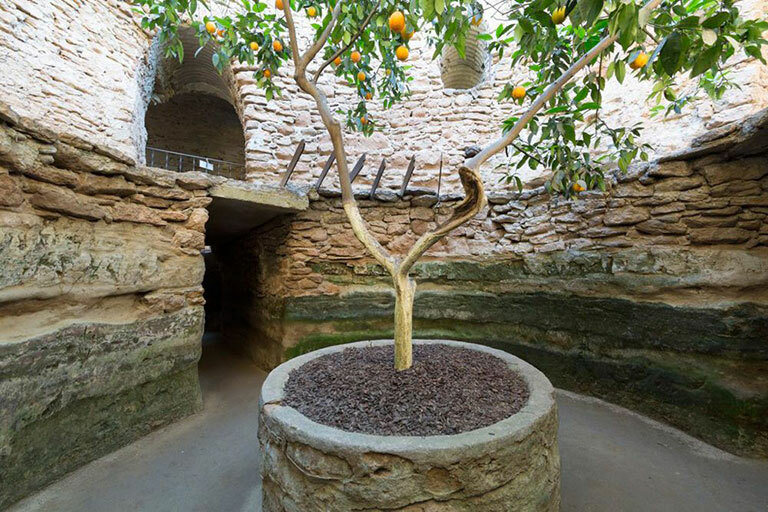 This network of underground chambers, passageways and courtyards was built by Baldassare Forestiere, an immigrant from Sicily who came to Fresno to farm. Unfortunately, the land he invested in was too hard for agriculture, so he spent four decades, from 1906 to 1946, excavating and building underground passages and courtyards that eventually stretched for more than 10 acres. Forestiere escaped the heat of Fresno’s summers by doing his work underground and protected his fruit trees from frost by planting them there. 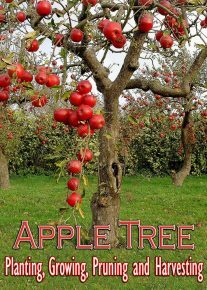 The result was that he could not only cultivate native fruit trees and berry plants but also grow more exotic crops like kumquat and jujube. You can still see these trees and passageways. The gardens are now open to the public (on non-rainy days). 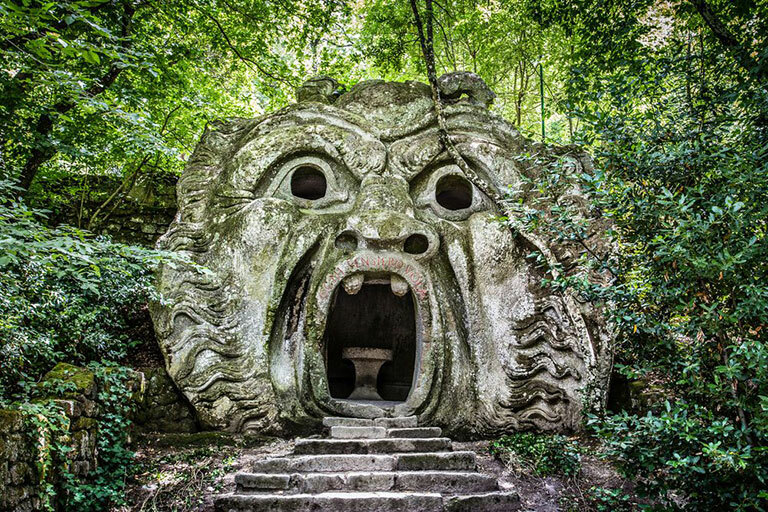 The garden also apparently poked fun at other Renaissance-era art patrons, such as members of the Medici family, who were obsessed with “serious” art works and garden designs. The garden has remained relevant throughout its history. In the 1940s, Salvador Dali made a short movie about Sacro Bosco. 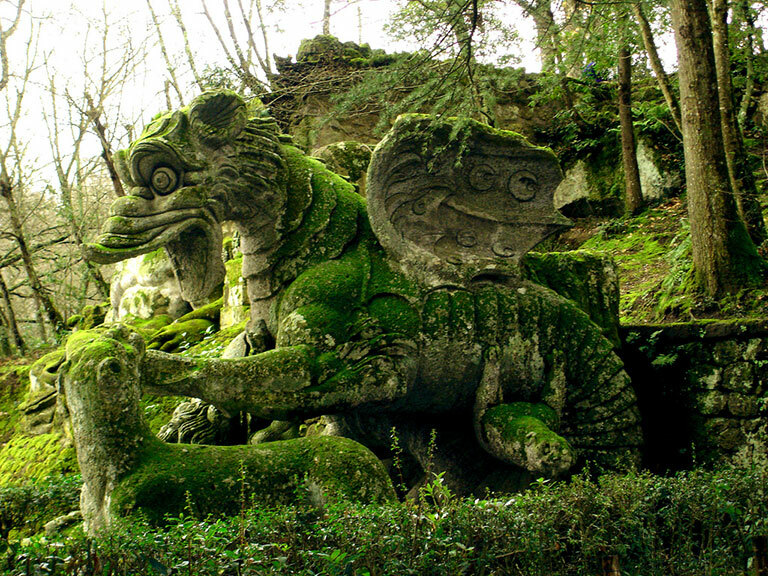 The gardens were restored in the 1970s, and today people still come to see the moss-covered monster statues peeking out from the foliage. 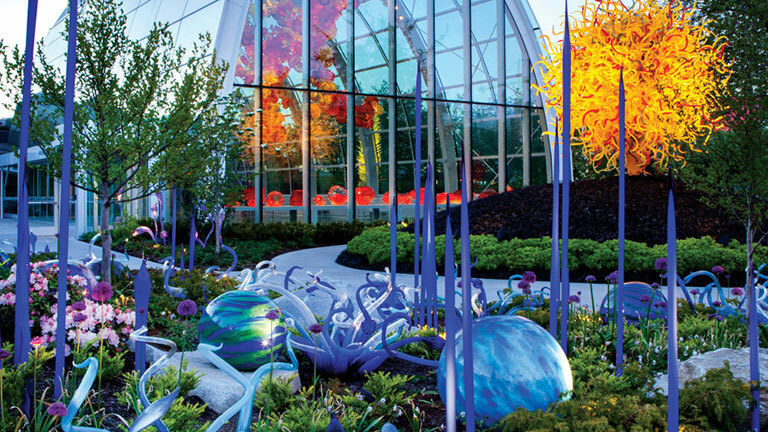 The Chihuly Garden and Glass Museum is part of Seattle Center, a 74-acre entertainment and culture neighborhood. The garden features plants but it also has the whimsical glass art of Dale Chihuly, one of the world’s most famous glass-blowing artists. 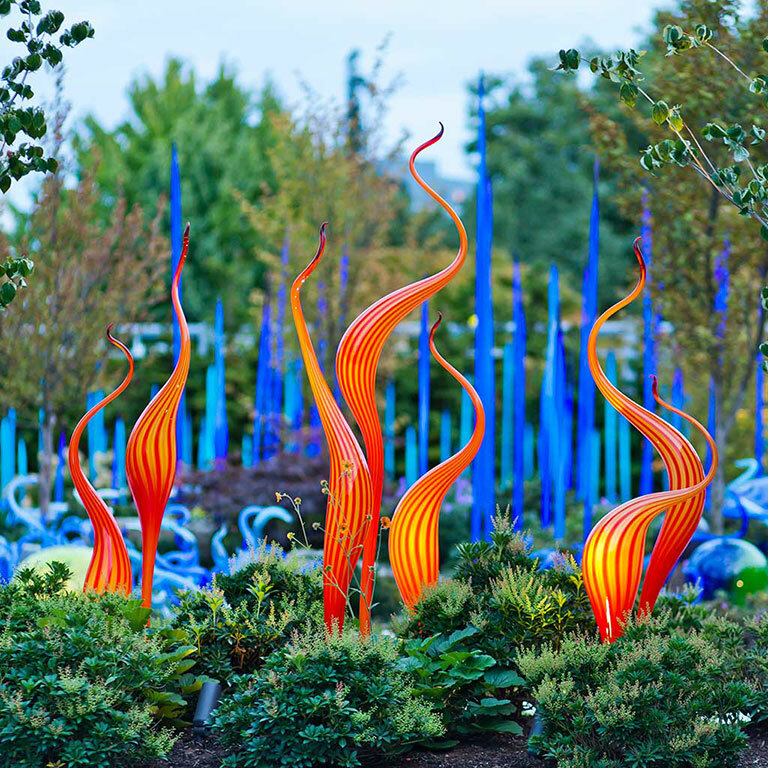 The brightly colored, abstract glass sculptures are placed both inside and outside a greenhouse. 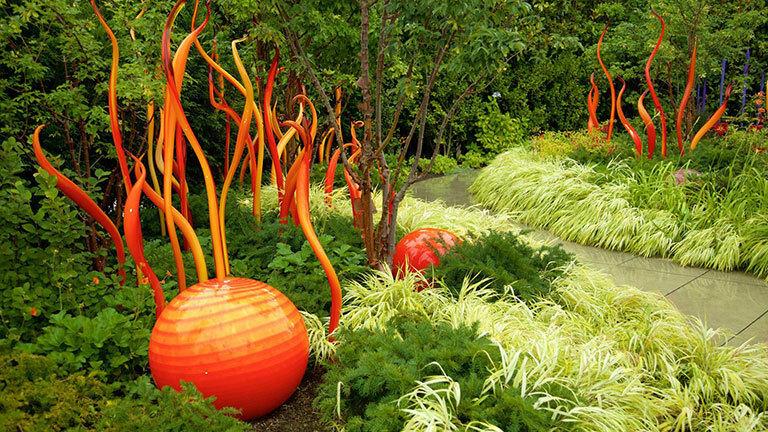 Visitors might feel like they are walking through an avant-garde garden, or they may find it easy to imagine themselves strolling through the pages of a Dr. Seuss book. But this is certainly not a quiet “secret garden.” It sits at the foot of the Space Needle in the heart of Seattle. On the plus side, it is very easy to find and most will find themselves looking down (and up) and the glass rather than focusing on the surrounding city.